Stay in touch with Unity School through social media. Tickets on Sale Monday April 1st! No need to pay now; your school account will be charged. This play is recommended for adults and children of all ages! We encourage all Unity families, friends and children to attend. Available at Friday performance and while supplies last; $10 each; ribbon and gift card included. Reserve Your Bouquet Today! For the 2019-2020 school year is in full swing!! Please sign in to your RenWeb account to complete the re-registration information. Contact the front office with any questions. It was overheard on the loading dock that many parents are cleaning out their children’s book cases/shelves. If you do not know what to do with those books, please think of bringing them to Unity. Drop them off in the school office. We will level the books and place them in the ‘just right’ classroom. A classroom can never have too many books. The virtue of the week is Understanding. This year’s 8th graders reminiscing over past year’s yearbooks. Care Kids. Our 5th grade students are working with Literacy Coalition of Palm Beach County to assist with getting books into the homes of local children and families. Please check your bookshelves for any gently used books and bring them to school on Monday or Tuesday. If you have volunteered for our Earth Day celebration, you will have the opportunity to learn more about the Literacy Coalition and our Care Kids students involvement with them at that time. FOOD DRIVE: Throughout the month of March, fourth grade students and families are asked to bring in canned food and non-perishable items and place them in the collection container outside of their homerooms. Your generous donations are taken to the Caring Kitchen and will serve local families in need. Each grade is assigned one month where they will be encouraged to make non-perishable food donations each week. To see which month your children will be asked to donate food, check your Unity School calendar – it’s the first entry under the notes section on the right side of the calendar. Recycled Uniforms We are always happy to accept uniforms that are still usable for our recycled uniform program. Please leave any donations at the front desk for pick up. Shoes2You. Shoes2You, Inc. was developed in 2013 by Joseph Rubsamen, a Unity School graduate, who was inspired to help provide shoes for people living in poverty. Unity School accepts shoes for donation to Shoes2You, Inc. year round. Please place any gently used shoes in the bin in front of the middle school office. Do you or someone you know have fruit bearing trees in the yard? Then be a part of Unity School’s exciting Tree to Tray program. Parents can drop off bags or boxes of local, organically grown fruits that come from your own families’ trees. Unity’s Food Service Director, Lori Robbins, will be using the fruit from our trees, and turning it into delicious meals that end up on our children’s lunch trays. So, those wonderful avocados that are filling your trees right now will be used to make fresh, homemade guacamole for taco day. And the limes, oranges and lemons make wonderful, flavored water for our children and for family events at school. Donating these items helps expose our children to food they may not normally eat. Fresh food is a crucial part of our children’s health and provides the nutrients and energy they need to fully participate in all of the educational and enrichment activities here at Unity. All fresh produce is welcome! Each month we will feature the items that are seasonally harvested as a reminder to support this program. Help us get your extra fruit off your trees and onto our children’s trays! First, let us start out by letting you know how much we appreciate your business. It is our greatest pleasure and an honor to serve as your school’s uniform program provider. 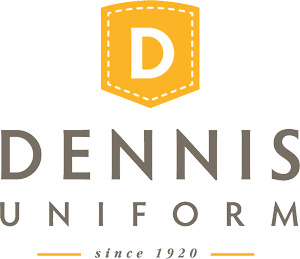 Below is a link to your local DENNIS Store Map and Hours. Please don’t hesitate to contact your local DENNIS representative; we are always here to help! We look forward to serving your school community.